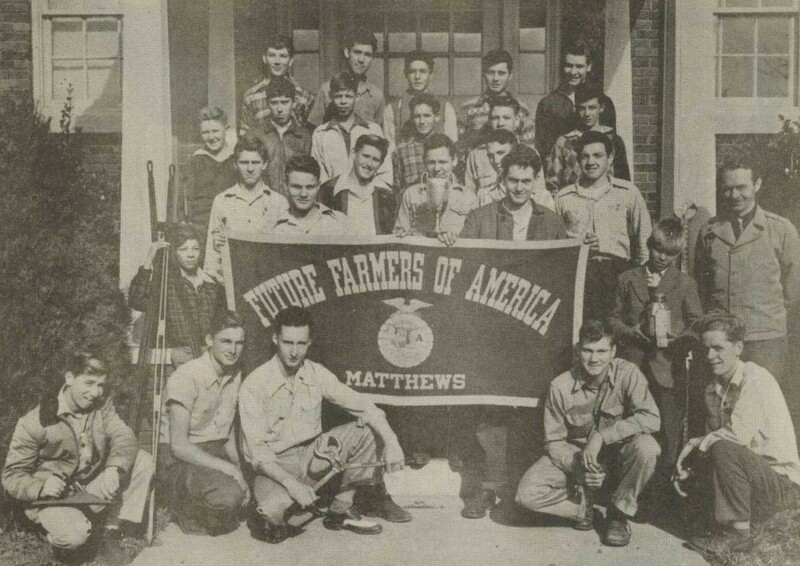 The Matthews Heritage Museum, a new partner, has just contributed two mid 20th-century yearbooks from Matthews High School. These are the first two yearbooks we have from this school. 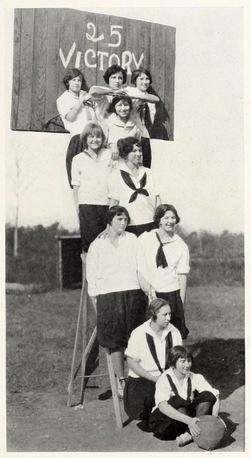 Several other yearbooks from Matthews schools are also on DigitalNC. Over 240 images of railways and the logging industry in Transylvania County can now be found on DigitalNC. This group of photographs, digitized and submitted by the Transylvania County Library, date from the early 20th century on. These images show logging and tannin operations in Rosman, Brevard, Lake Toxaway and Quebec, which all border on or lie within the Pisgah National Forest. 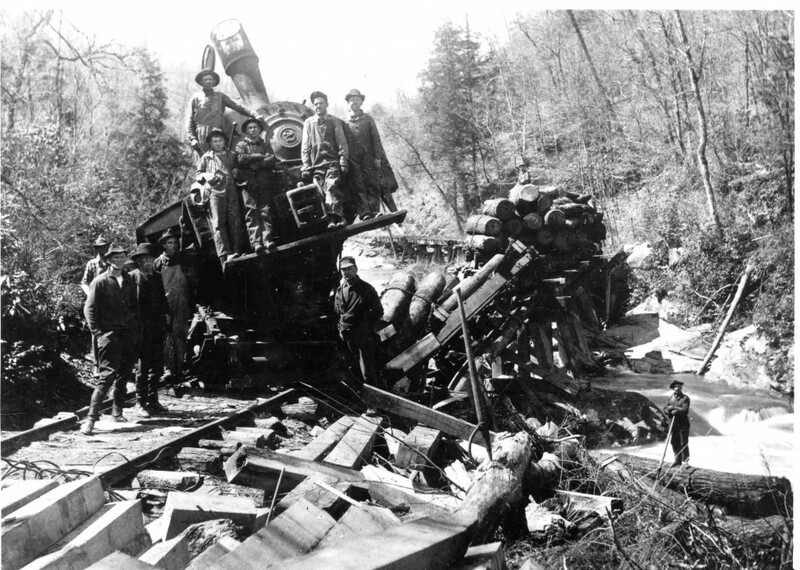 Featured prominently are the trains, necessary to transport lumber, workers, and logs throughout the area. Sawmills, rail cars loaded with lumber, oxen pulling logs near work camps, and steam-powered machinery are in many of the photos, as well as group portraits of lumber and tannery workers. 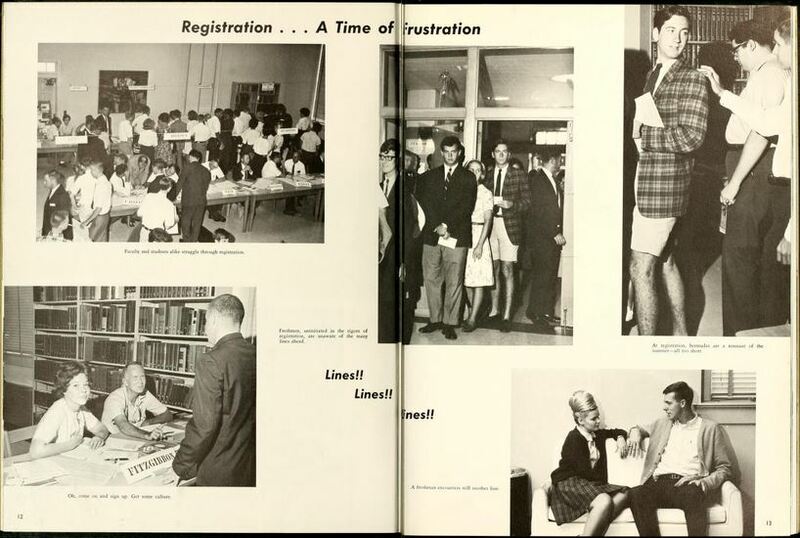 As college students across North Carolina head back to class it seems like a good time to take a peek in our NC College Yearbooks collection and see what registering for classes used to look like before we were able to just sit in our dorm room, or coffee shop, or be halfway across the world to sign up on our computers. Until the early 1990s, to sign up for classes involved a lengthy process of waiting in very long lines and hoping that no one in front of you got into the class you wanted or needed before you did. As the images below show, the overwhelming feeling among students about this process was pure frustration. 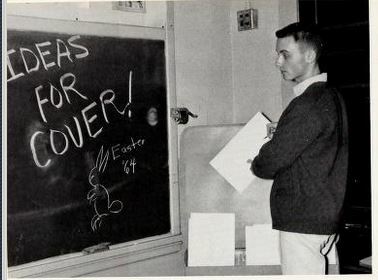 Today’s students can be glad this is one college tradition they do not experience anymore! 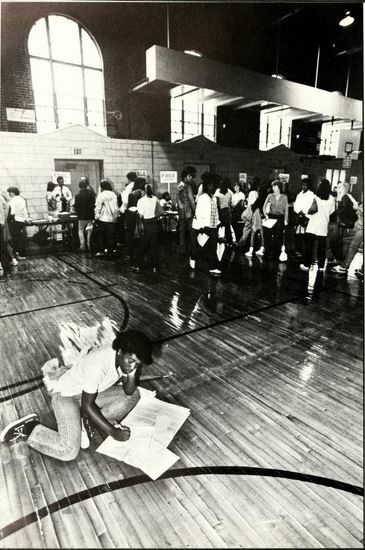 Registration day was a feature in community colleges as well. 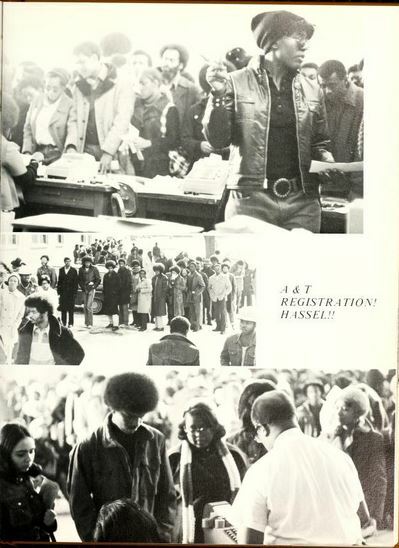 This is from Wayne Community College’s 1974 yearbook, Insights. 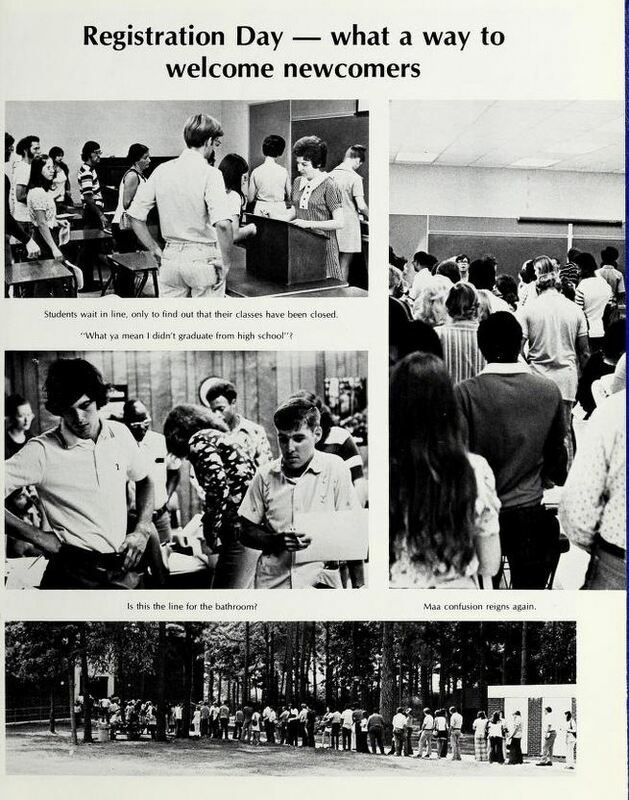 To view more college yearbooks from North Carolina, visit the North Carolina Digital Heritage Center’s NC Yearbooks collection here, and welcome back to school students! 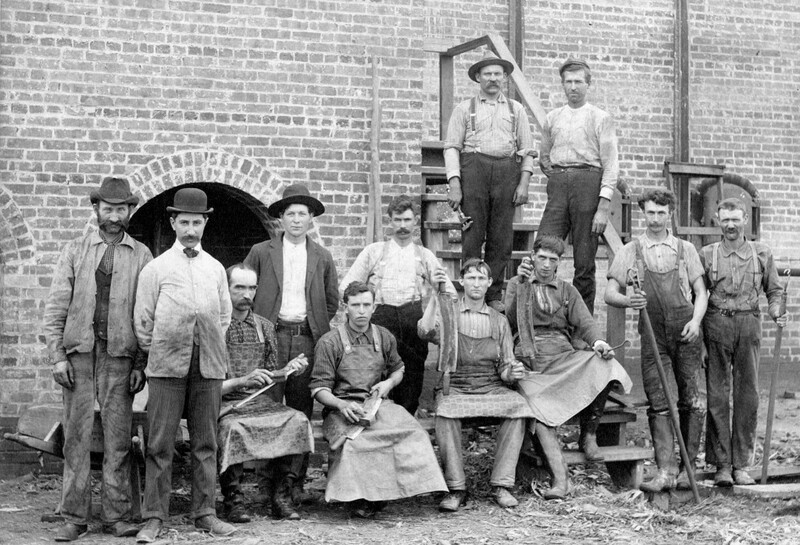 The North Carolina Digital Heritage Center recently digitized a variety of materials from the Stanly County Museum in Albemarle, N.C. Prominent in the materials is information on the Jones family. Brothers James Read Jones, left, and Will Jones (circa 1861-1862). Both were soldiers from Indiana in the Union army. Their letters, among others, comprise the Jones Family Letter Collection from the Stanly County Museum. The Jones Family Letter Collection was donated to the Stanly County Museum by Janice H. Mitchener. The letters, which number in the hundreds, are correspondence between James Read Jones, his wife Achsah Gilbert Pleas Jones, and various friends and other members of their family. The complete, numbered letters appear first in the collection (Letters 1-169), followed by incomplete letters (Loose 1-51). Biographical information about the Jones family is at the end of the letter collection (Documents 1-5). The numbered letters are roughly grouped–first are James Read Jones’s letters, and then Achsah Gilbert Pleas Jones’s letters (for a chronology, see Document 5). The correspondence tracks many threads: the couple’s relationship, from infancy to past marriage, and the life and death in 1862 of Will Jones, James Read Jones’s brother. 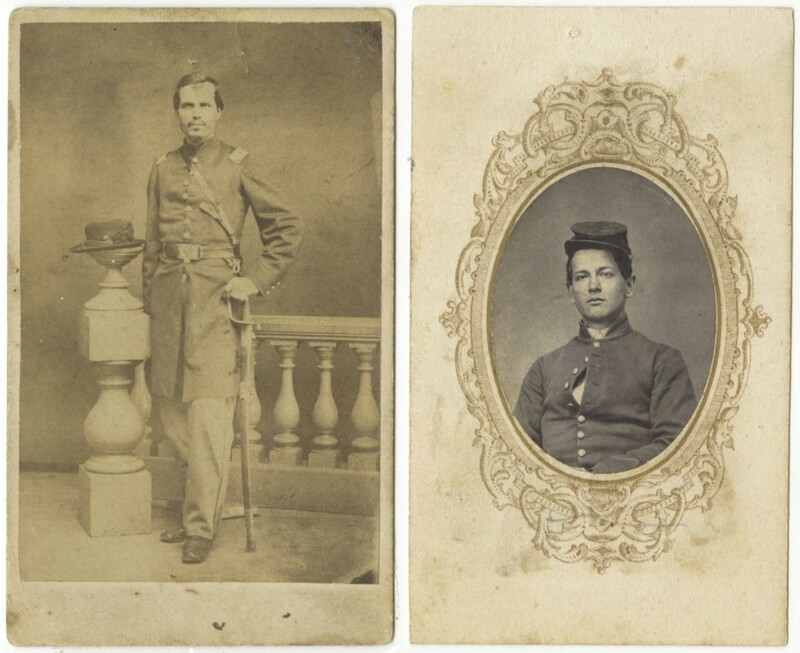 Though the letters date from January 1861 to April 1894, the bulk of the letters date from 1861-1862, when James and his brother served in the Union army. As Documents 2-4 detail, Sergeant J. R. Jones was mustered into Company E, 36th Regiment of the Indiana Infantry, in September 1861. He met Achsah Gilbert Pleas and on April 7, 1862, just after the Battle of Shiloh, they were married. Sgt. Jones was promoted to Second Lieutenant in March 1862 but discharged for an inguinal hernia on December 2, 1862. He then spent much of his life traveling the world as a Quaker minister, while Achsah raised their children in North Carolina. Achsah and Jimmy were married until Achsah’s death in 1898. 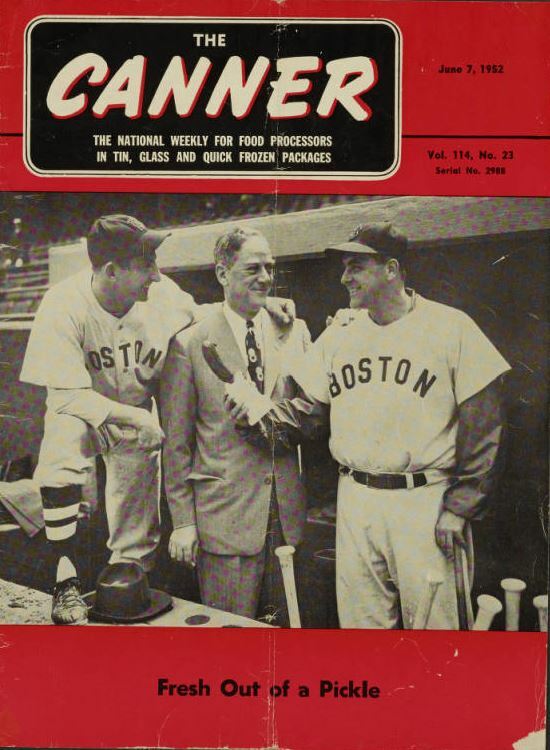 The Jones Family materials also includes a scrapbook. The James Read Jones Scrapbook of Writings is a collection of letters and newspaper clippings by or about James Read Jones. Dated materials in the collection range from 1885-1911. 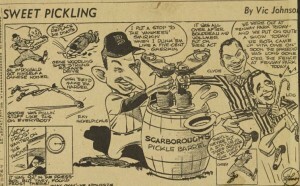 The scrapbook includes many newspaper columns and articles written by J. R. Jones, as well as assorted correspondence, photographs, and poems. Dr. Francis J. Kron: A Report Prepared for the Division of State Parks, North Carolina Department of Conservation and Development. A report on the life, dwelling, and writings of Dr. Francis J. Kron, by Robert O. Poplin, Jr., The report also includes interviews conducted with family and acquaintances. 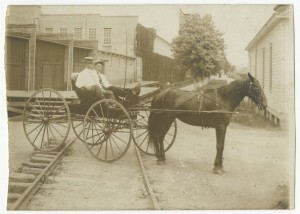 The Kron house was used as the model for the lodge and bathrooms at Morrow Mountain State Park in Stanly County, N.C.
Postcard of a buggy on the railroad tracks in Albemarle, N.C. circa 1905. 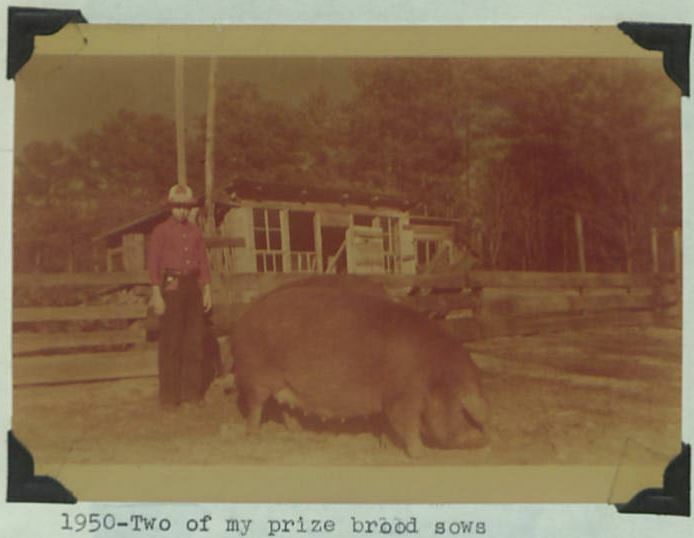 Images of Stanly County: Portraits of the Jones and the Hearne families, several additions to Stanly County postcards, and a mysterious photograph of Burton Tucker. Though the picture is dated 1892, Tucker is believed to have been murdered by Alec Whitley in Arkadelphia, Arkansas in April 1891. Students at Richard B. Harrison High School on their way to class in 1966. Thanks to our new partner, the Johnston County Heritage Center, 146 Johnston County yearbooks from 16 different high schools are now on DigitalNC. 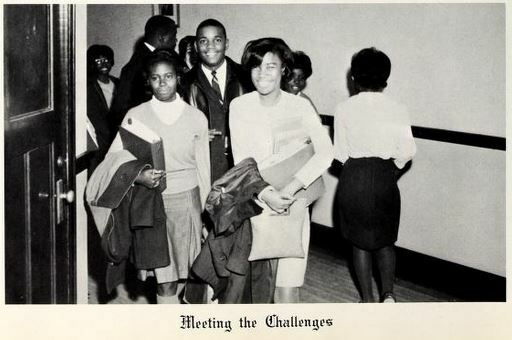 Many of the high schools were closed when Johnston County consolidated and integrated the school system in the 1960s, including three African American schools. 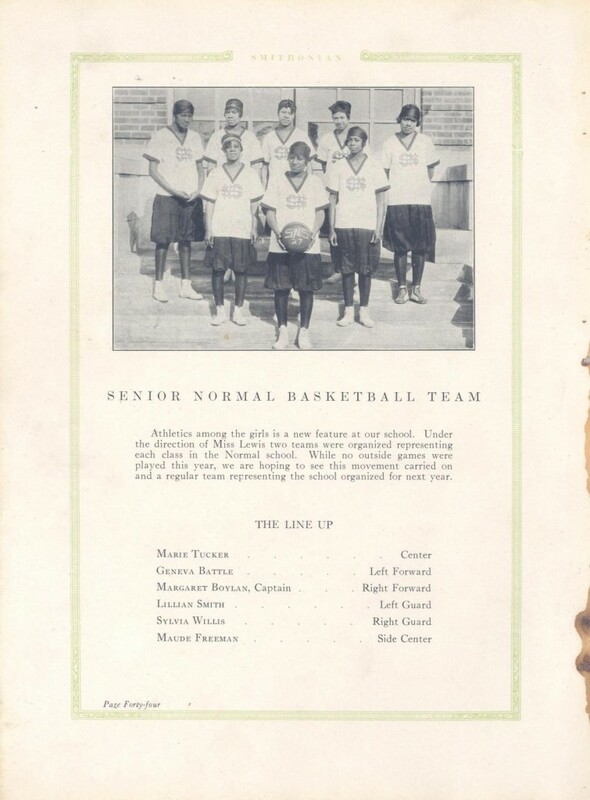 To view more high school yearbooks from across North Carolina, visit the North Carolina Digital Heritage Center’s North Carolina Yearbooks collection. 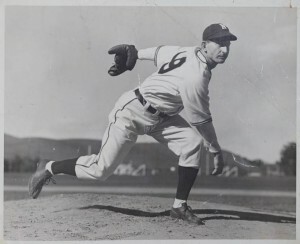 The NC Digital Heritage Center has just added more materials online from Wayne County Public Library including scrapbooks covering 4-H activities in Wayne County, Ray Scarborough, a major league baseball player from Mount Olive, and yearbooks from several Wayne County high schools including Goldsboro High School and Nahunta High School. 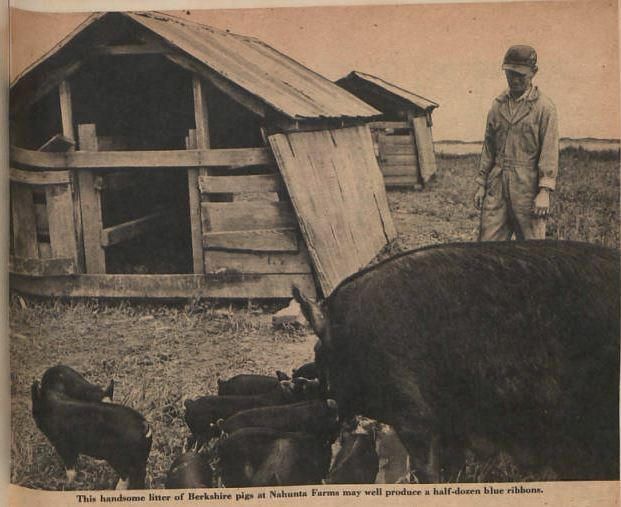 To view more materials from Wayne County Public Library on DigitalNC, visit here. 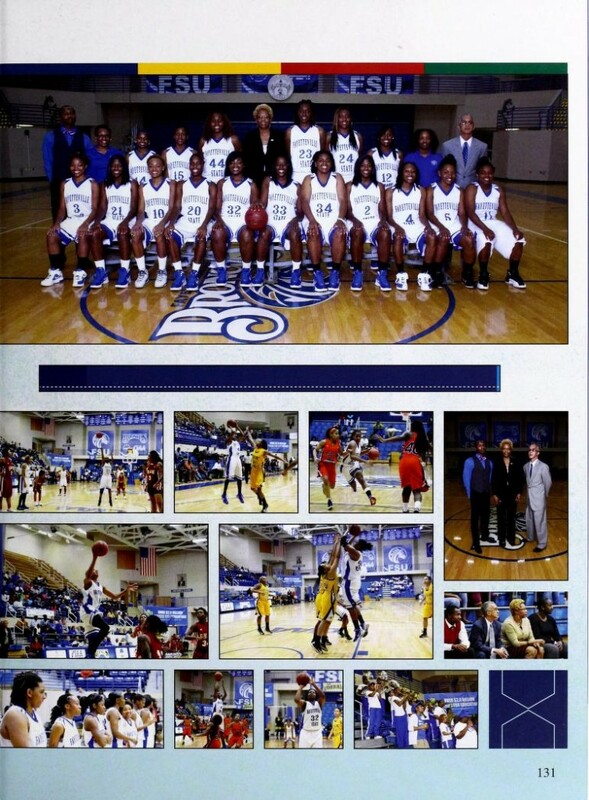 Pictured below are the women’s basketball teams from both the oldest and newest yearbooks of Fayetteville State University now available on DigitalNC. The Smithsonian  was published by the State Normal School, which would eventually become Fayetteville State. We also recently digitized the 2012 and 2013 yearbooks, as well as issues of their student newspaper from 2013 and 2014. 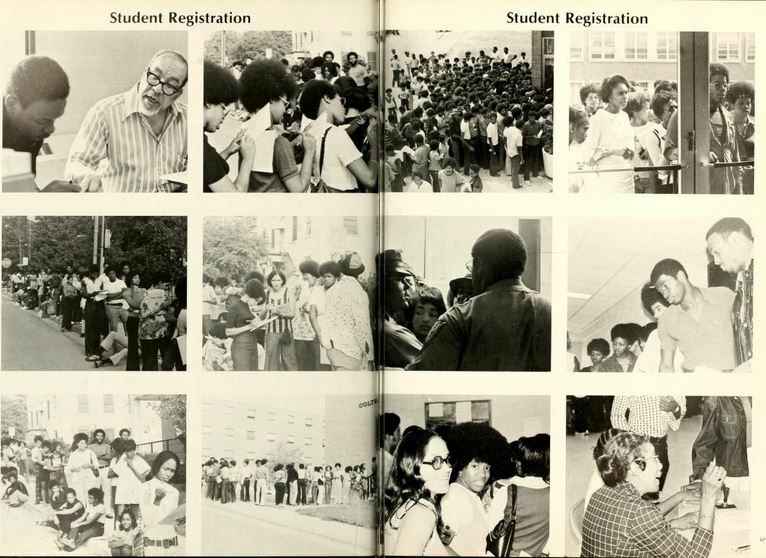 You can view all of FSU’s yearbooks and newspapers here.